It has been less than one year since Florida’s Collaborative Law Process Act has gone into effect. Now is a perfect time to take a Two-Day Introductory Interdisciplinary Tampa Collaborative Training! 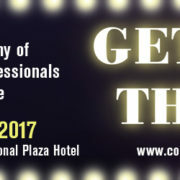 Next Generation Divorce and Tampa Bay Academy of Collaborative Professionals are co-sponsoring the training to teach more professionals how to help families peacefully and privately to resolve their disputes. The training will be conducted by the Tampa Bay Collaborative Trainers. 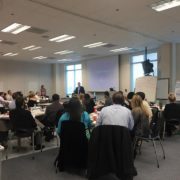 Fifty plus attorneys, mental health professionals, financial professionals, and students successfully completed a two-day Introductory Collaborative Family Law Training at Nova Southeastern University in Ft. Lauderdale, Florida. The training was led by Family Diplomacy managing attorney Adam B. Cordover along with psychologist Jeremy Gaies and accountants Kristin DiMeo and David Harper, all of the Tampa Bay Collaborative Trainers. The purpose of the training is to educate members of various professions on how they can help families go through divorce privately, efficiently, and as peacefully as possible. “Excellent! Well organized, informative, funny, and thorough! You kept our attention during some very dry ‘legal-ease,’ and are all great team players,” praised Professor Randy Heller, the organizer of the training. 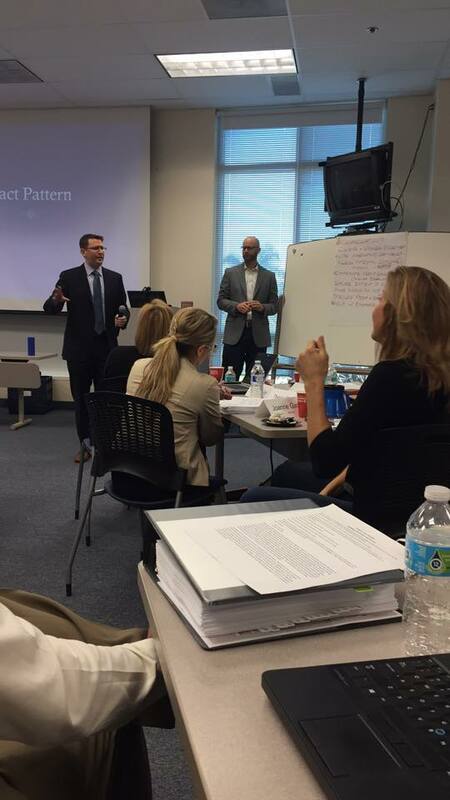 Adam B. Cordover alongside David Harper going over a fact pattern at a collaborative divorce training. 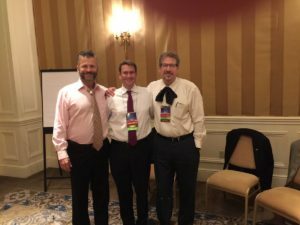 “Adam is extremely knowledgeable, well-spoken, and a huge asset to the collaborative divorce program,” said attendee and attorney Honit Simon. “Adam did well in combining practice with theory,” commented another attendee, mental health student Solomon Udo. https://familydiplomacy.com/wp-content/uploads/2017/01/15825983_10155411310232119_5756282356853681914_n.jpg 720 960 Adam https://familydiplomacy.com/wp-content/uploads/2016/12/Family-Diplomacy-Logo.jpg Adam2017-01-09 07:45:132019-04-03 09:26:57Collaborative Divorce Training Review: "Amazing!" 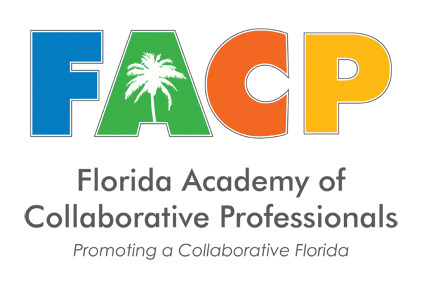 Tampa attorney Adam B. Cordover lead a workshop at the 17th Annual Educational and Networking Forum of the International Academy of Collaborative Professionals (“IACP”). The Forum took place in Lake Las Vegas, Nevada, and was attended by hundreds of attorneys, mental health professionals, financial professionals, mediators, and other supportive of helping families resolve disputes respectfully and privately via the collaborative process. Cordover lead the workshop alongside Barrie, Ontario lawyer Brian Galbraith and Seattle, Washington attorney Kevin Scudder. 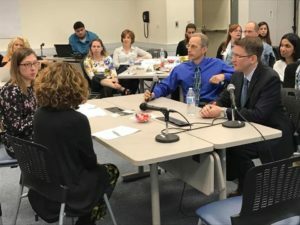 The program was called “Collaborative Multiverse,” and the idea was to lead a townhall-style debate and discussion among experienced collaborative practitioners on issues affecting collaborative practice. One topic that was discussed was determining the best collaborative model to use for each particular family. Different parts of the world predominantly use different arrangements of professionals to resolve divorce and other issues. 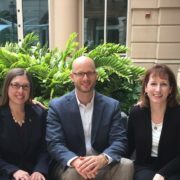 In Florida, the main model that is used is known as the Neutral Facilitator model, where each party has an attorney, a neutral facilitator with a mental health licensure helps with parenting issues and ensures discussions are future-focused, and a neutral financial professional aids in creating family budgets and ensures financial transparency and disclosure.